Bud: Am I assuming correctly, that these will go in a dio? ooooo...hadn't really thunk that far ahead. But will think it now. 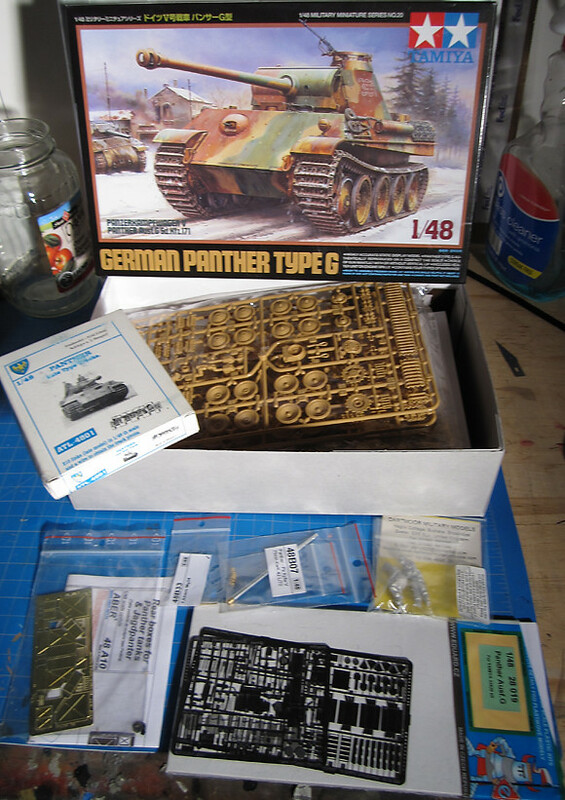 It´s my double pleasure to join the 1/48th scale campaing because it´s both my first time here on Armorama and my first 1/48th scale kit as well! An OOTB quick to build kit project to practice and improve my painting skills mainly. I´m sure I´m going to have a good and fun time here with all of you! Keep those models comming! @Stefan - I'm figuring this out as I go, but I was thinking along the lines of a cut down road sign hidden behind a wall (or cut down Tree or bushes) next to a German with a MG, panzerfaust, grenades [in front of the wall is the Jeep]. The opening scene of the movie, "Hart's War" basically. @Alvaro - you'll love that humvee! Wow, that's a good looking Humvee! 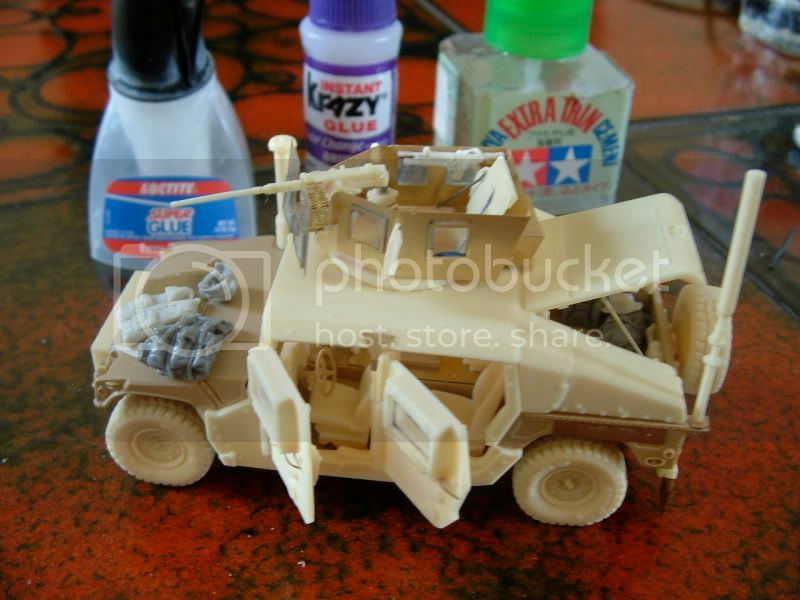 What conversion kit(s) would you Humvee fans recommend most for the 1/48 Tamiya kits? Hi, It's a pleassure for me to enlist to this campaign. I visit this site very often and I must to say this is exciting for me. I hope to post some starting biuld process soon. Looks like a great choice Domingo! I too am excited about this campaign. here is my entry, I hope I can finish it on time! I wanted to go as overboard as possible with the AM stuff, so I got fruils (a first for me), aber mg and main gun barrel, aber kisten, eduard PE, and a few other do-dads...I'm hoping to portray an abandoned (or out of gas) panther in the Ardennes. Chris: Nice to see a Cromwell in the bunch. 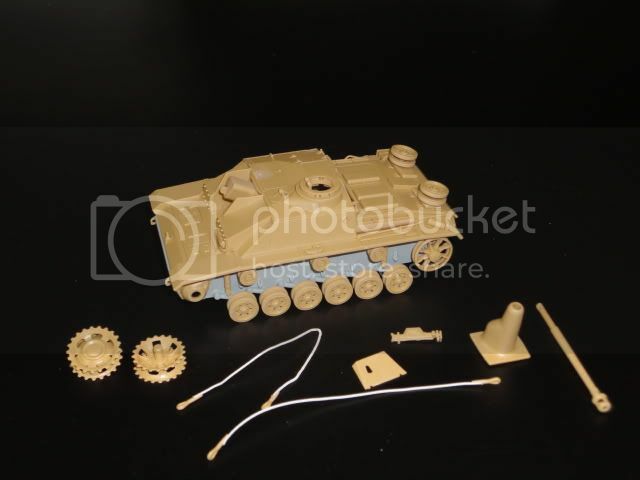 I heard there are some fit issues with the kit, might want to check out http://www.perthmilitarymodelling.com/reviews/48/tamiya/tam32528.htm" TARGET="_blank"> this review on PMMS. As for the metal hull... It's a riddle to me. I use super glue to attach the plastic directly on the grey primer. Alvaro: Good of you to join up! Looking forward to it! Improving one's skills is one of the major goals of campaigns. Jeremy: I see you joined the axis side of the Campaign... How did you get the parts out of the box without breaking the plastic wrapper? tskross: After what you did to that M10 I'm really looking forward to your Panther! As for the box, I just run a blade around the bottom and remove the plastic from there. I keep the lid covered in the plastic because I like to protect the box from things that end up sitting on top of it. Kinda silly I know, but I find a well preserved piece of box art to be motivational during the build, or to keep me interested down the road. Ripped up boxes are just kinda depressing. 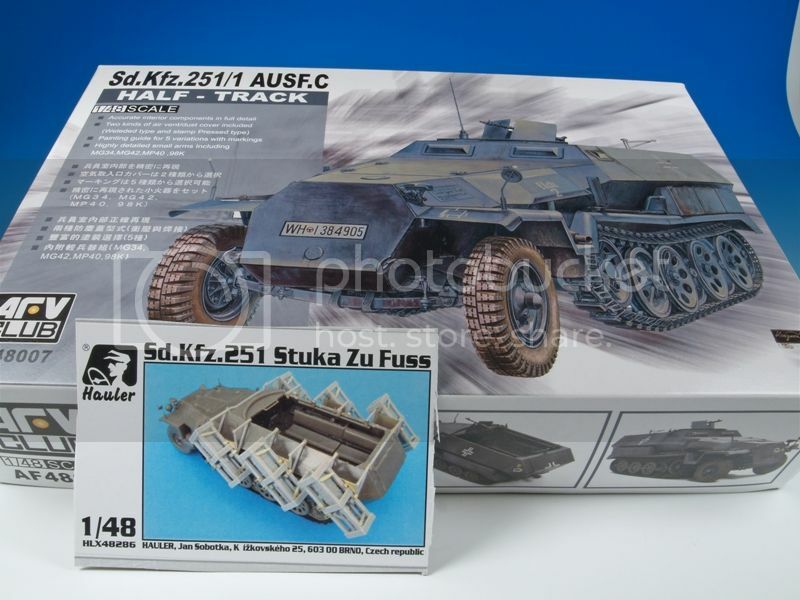 Anyways I've got one of those little hetzers going as well ( my hetzer ) and it is a beautiful little build (I used the hauler etch, this panther will be my first go wih eduard) I'm curious to see how yours comes out! I think your build will come out great regardless of how far you go with it. Maybe I should have ordered the Hauler set, but I think I'll like the Eduard set. It'll be nice to compare the two with your and my Hetzer builds. The Eduard set actually comes with replacement fenders, which I don't think I'm going to use. I am thinking of building the Hauler STARR conversion sometime as well. I also checked out your M10 build, and it's awesome. I've been wondering if it is worth tackling, and you've clearly shown me it is. I agree with the lack of detail in the Tamiya 1/48 lower hulls, but I do enjoy the weight they add. 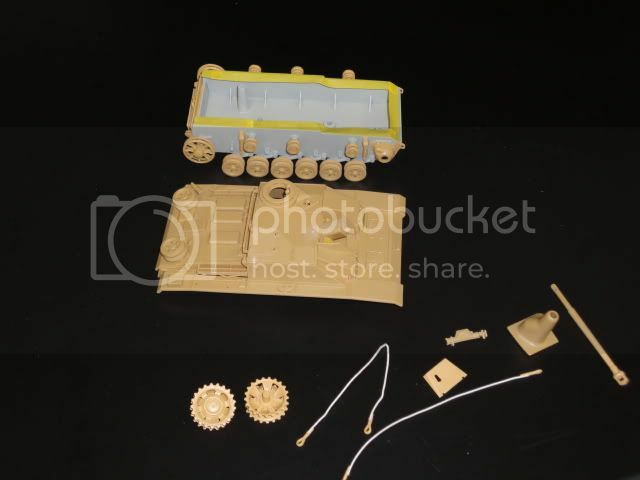 It would be nice if Tank Workshop would create one soon to go along with the 1/48 Sherman line they have. Greg - Many thanks for the advice, I've been using Loctite superglue but was a bit concerned by how fast it sets. From what you say it will be fine for the running gear, but I'm going to need a few more seconds to get the hul plates right. So I will figure out where to get some that gives me a bit more time. Stefan - That review was just what I needed, thanks for that. I was dry fitting the front hull pieces and wondering if I was fitting the pieces wrong all of yesterday ! Looks like I will have one at the back to think about too. Still at least I have a bit of warning and a possible solution now. Many thanks. Some more progress to show. I got the base coat of green down. I gave it a wash or burnt umber and didn't like how it looked so I did some touch up. Still not happy, see the left side of the turret. That doesn't look as bad in real life as it does in he pictures. I added a little light grey to the base green and applied it lightly to all the large flat areas. Next, more green touch up then some more burnt umber wash, a light misting with some tan to represent road dust and then see how it looks. The tank looks grey in these pics. I used MM 2060 which is decidedly green. It might be my monitor, I'm not sure. 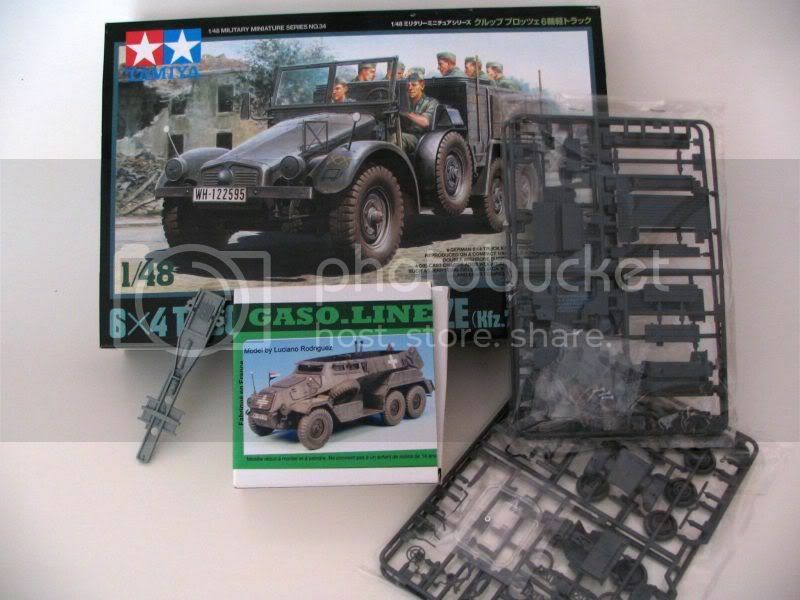 transformation of gasoline on base of tamiya Protzen Krupp. Hi all,Bit of a disaster My Tiger was built and ready to prime when my socket set decided to fall off its shelf.My Tiger looks like its been hit by a grand slam, turret smashed upper deck cracked and half the axles snapped off I will have to get another kit now,just be a bit behind everyone else bummer when your unemployed. Wow ,tough break John,still got plenty of time,I am nowhere near starting mine yet. 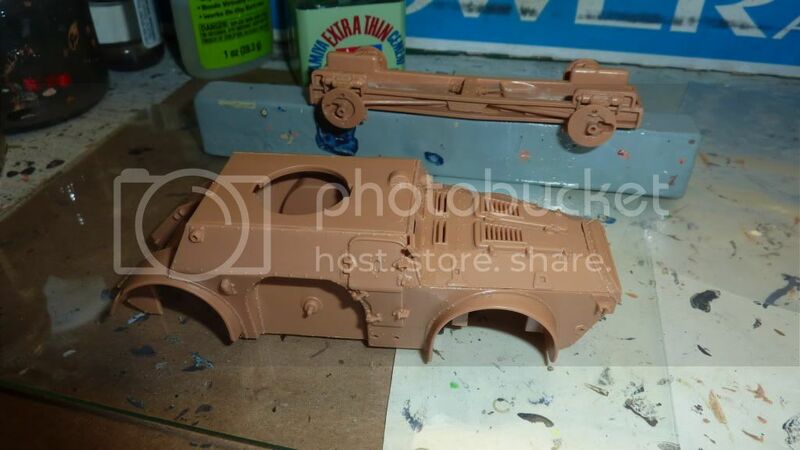 A bit of progress here on the Stug III. 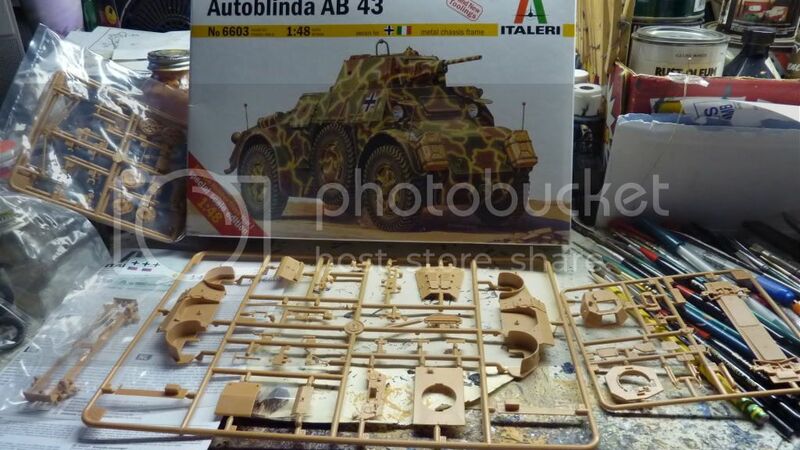 Here is my entry - the fairly new Italeri Autoblinda 43. Now to work on the turret, as well as fill the gaps with some putty. Xavier: That is slick! How often do we get to see one of those in any scale? You could take the brave (read frustrating) route and try to piece the darn thing back together. Anthony: Me either, going to be a couple of weeks before I can get back to the workbench. Zon: Awesome, looks like we can expect paint to fly soon? Ed: Nice progress. It does look a bit grey, but I'm sure it'll turn out well after washing and maybe filters. Xavier: Welcome to the campaign! That certainly is an unusual vehicle, I've never heard of armored cars based on the Krupp Protze. Zon: Nice progress. These things certainly go together like a breeze. What's the idea behind the masking tape? [b]Jim:[b] Welcome to the Campaign! I was hoping to see one of those Italeri kits in the campaign. Cheers everyone and keep it coming! Hi all, Ive been pondering the wreckage all evening the kit is repairable i guess but some of the tiny parts have been eaten by the garage floor I hovered up and checked the contents but no luck,the most obvious part is the front light.I wont use this kit for the campaign but i will repair it and use it as a wreck in a dio maybe.Think i might go for Tamiyas early Tiger or their Panther G.for the campaign. Alvaro, Domin, Xavi, good to see you here amigos. Ed, no idea what went wrong but the KV does not look green on my screen too. Any update about its status now?. The KV I am making is white winter wash and I am finishing it at the moment finally. Jeremy, I am with Sam and you will love that turtle. Sam, Looking forward to seeing what you will make with the Panther. Jim, the Autoblinda is a bear at first but it can become a very sweet model with little love by your side. On mine I spaced the chassis a bit because the wheels sit too inside the fenders in my opinion. Just check your references and will see what I mean quickly. John, sorry to hear of the socket dissaster but happy to see you are on the fight with a new kit already. Removed by original poster on 09/09/10 - 16:47:15 (GMT).